COMMUNITY opinion is divided on the potential impact to local businesses created by the construction of the Rockhampton Ring Road. This week Prime Minister Scott Morrison and Capricornia MP Michelle Landry announced a $800 million federal funding commitment to realise the 22 km project, which would see the Bruce Highway by-pass Rockhampton to the west across a new bridge. Due to be completed in the mid 2020s, the project is being praised in some quarters and derided in others, fearing a slump in business comparable to other regional centres by-passed by the highway over the years. The Morning Bulletin contacted local business people to hear their thoughts on the potential impact of the project. 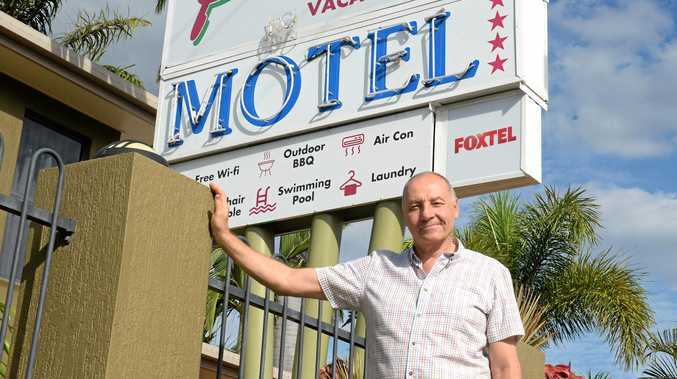 Situated on George St, Motel Manager Graham Noble can see both sides of the Ring Road argument but couldn't say for sure how the project would influence his business's patronage. "It's difficult to say, different places can be affected differently," Mr Noble said. "We're close to the CBD. A lot of our business therefore is people coming in for a reason, not necessarily just nipping in off the highway to spend a night. "It may affect other places who perhaps rely more on passing trade than we do, in a different way." 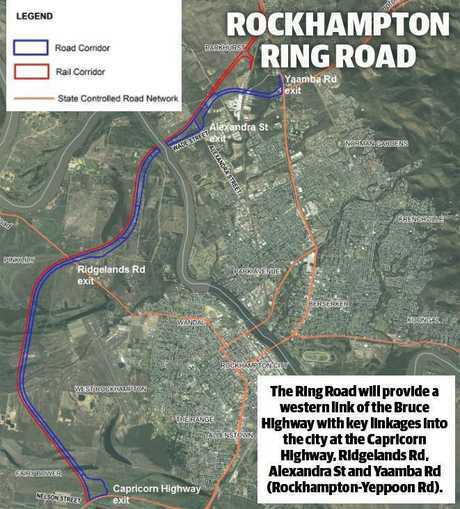 How do you think the Rockhampton Ring Road will impact businesses? This poll ended on 11 November 2018. Negatively. It will by-pass all visitors from the city and businesses will lose customers. Positively. It's going to reduce traffic in and around the CBD and make it a lot easier for people coming to visit the region. 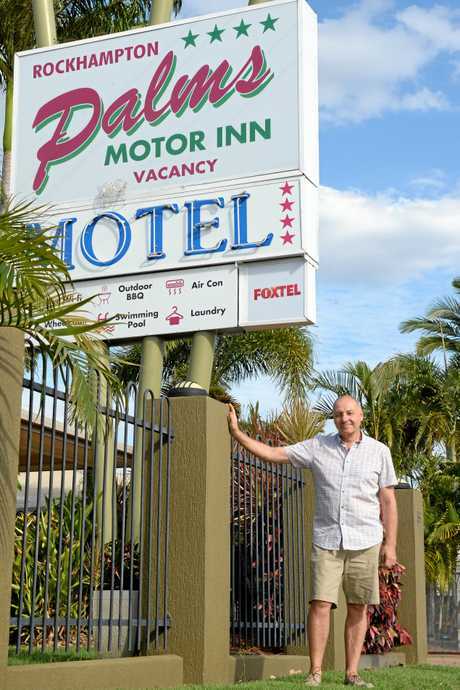 Motel owners in other by-passed towns had told him their businesses had improved by virtue of there being less traffic and consequently less noise. "Then you talk with someone else and they say 'the town's devastated because nobody comes through anymore'," he said. "We're miles from anywhere here, so people tend to stop in Rockhampton because we're halfway between Townsville and Brisbane - you don't want to try and do that journey in one hit. It may have an affect, I'm not convinced it will be a big affect on us but anybody could be wrong." 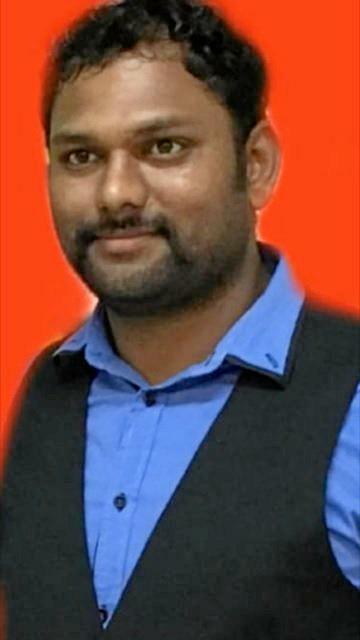 Gladstone Rd service station manager Uday Akula believed once the ring road was constructed, it would have a detrimental impact on all businesses along the Bruce Highway. He said travellers preferred to stop in Rockhampton to fuel, rest and eat and if the highway was to shift, they would lose almost half of their business, which they derived from tourists passing through. Given there was already competition between the service stations, he said it would be "disaster" if they were forced to depend solely upon locally based customers. "Our target business is tourists, if we miss them it will be very hard to survive," Mr Akula said. "We have people come in asking where are good motels, restaurants and takeaway shops were. "Each and every business on Gladstone Rd and George St would be affected." 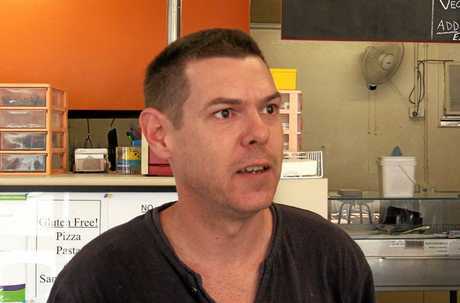 Owner of the Gladstone Rd burger business Steven Bird voiced his support for the project. "I think the by-pass is a good idea," Mr Bird said. "It won't necessarily affect me because I don't really rely on the highway traffic, I don't get a lot of trucks stopping in here, so won't really affect me that I can imagine at this stage. "Of course it could once it happens." Mr Bird thought it would be a good idea to get the trucks out of the middle of Rockhampton. "I think some businesses will definitely be affected, there are businesses in certain places where those trucks do stop," he said. "I think overall for the town it's going to be beneficial, especially for anybody who commutes through Rocky everyday from one side to the other," he said. 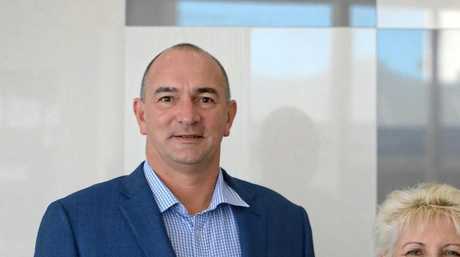 Looking after two of Rockhampton's largest CBD hotels, managing director of the Cassidy Hospitality Group Grant Cassidy is a strong supporter of the Ring Road project. "I'm really in favour of it, I think it's a positive initiative," Mr Cassidy said. "I can't see it having any negative impact on our businesses. "If anything it's going to reduce traffic in and around the CBD and make it a lot easier for people coming to visit the region to get around town." Mr Cassidy said Rockhampton's central location made it a traditional stop over point and it was a long way either north, south or west for people to continue on to the next destination. 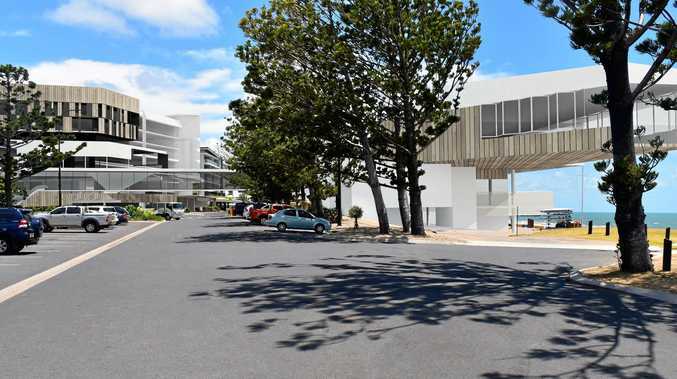 Unlike other regional centres like Gladstone and Bundaberg, which were significant distances away from the by-passes, he said this project would pass closely around Rockhampton. "My understanding is that there will be some work done on the design of the Ring Road to have a number of on and off points," he said. "I think it's going to really enhance the popularity of Rockhampton. "As we see more and more positive initiatives happening to promote tourism I can only see more people stopping into Rocky." He said the project would open up new industries, create more opportunities for freight and an intermodal logistics hub. "We can talk about what it's going to do with road, rail and air and the connectivity through to Gladstone for increased trade through the port," he said. "I think we are well positioned with this investment to see lots of positive initiatives come into the region." Locals have shared their thoughts on the positives and negatives of the Ring Road project on the Bully's Facebook page. Brendon Wrigley: Rocky's proximity to other centres means it won't have the same effect as people referencing other towns that have been bypassed. Going north its another 3.5 hours to Mackay. If your committed to going to Mackay your not stopping here Ring Road or not. It's 7-8 hours from Brisbane so what some people would drive in one day where as Mackay is 12-13 hours. West is Emerald, similar story. South is Gladstone, Childers, Gin Gin etc lots of town if your travelling south you have plenty of option to stop Ring Road or not. Ann Kirk: The ones that speak doom and gloom are probably the same one that moaned loudest when road trains were allowed in Rockhampton. Haven't heard of one accident attributed to road trains or cow manure been sprayed over cars and people. It can only benefit the town. Be quicker to drive around the bypass and then drive to businesses in north Rockhampton. Melissa Gold: Positive! Positive! Positive! To have all 3 Rockhampton industrial areas linked. The saving in travel time will be significant without having to drive through the centre of Rockhampton. I will be able to travel between Parkhurst and Gracemere in peak hour without hold-ups. Happy! Happy! Happy! Steven Maxwell: Correct me if I'm wrong isn't a ring road designed for easier access to other areas, if it's such a problem go back to dirt roads, horse and cart then complain, until it's seen in action it's people's opinion once again, just build it and be done with it. Janita Wass: The main complaint we hear about the impending bypass (like many major projects), is that it would have been prudent of both major parties to ensure that they got the full cross section of community opinion before it was a done deal and not just the opinion of interest groups,party branches and politicians,saying they represent the community`s opinion. Rosemary Colwell: Just stopped at Kybong near Gympie. They have a bypass. Huge Puma no people. The tourist info is gone and newsagent. They say Gympie is next.